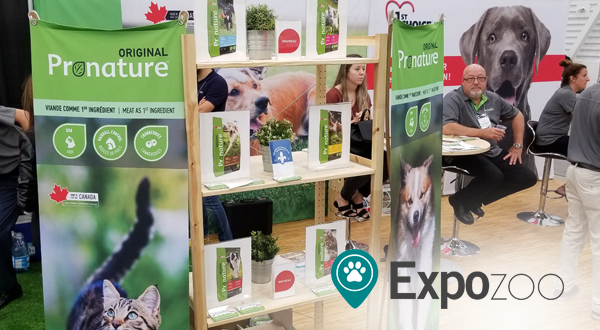 Every year at ExpoZoo PLB has the opportunity to gather all national retailers under one roof and exchange on the market trends, discuss new promotions and present new products! This year, the event was held at Centrexpo in Drummondville, Quebec. Our Sales & Marketing team unveiled our new Pronature branding image & packaging that will soon launch across Canada and around the world. The feedback from our retailers was very positive! Stay tuned as these new products will hit the shelves in Canada in late 2017.